☆ You can order your rodeo tickets either online or via mail order. ☆ Please be aware that there are two seating sections. Reserved [A-B-C] and General seating [D-E-F-G-H] at the Mid-Western Rodeo. 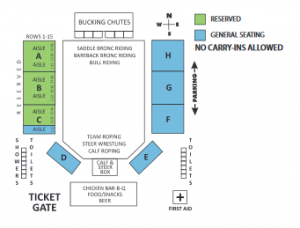 See Rodeo Seating Chart for details. ☆ You will pay an extra $1 per ticket at the Rodeo Arena gate. Order your tickets in advance. 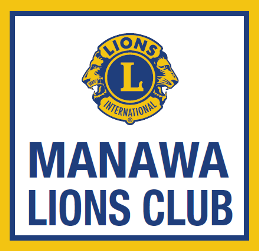 ☆ We do offer group rates for groups of 20 people or more. Click on the button to download the Mid-Western Rodeo ticket order form. General Admission Tickets are available at selected outlets as of June 1st, 2019.